A venerable philanthropic foundation looks to the future with a refined, light-filled space. 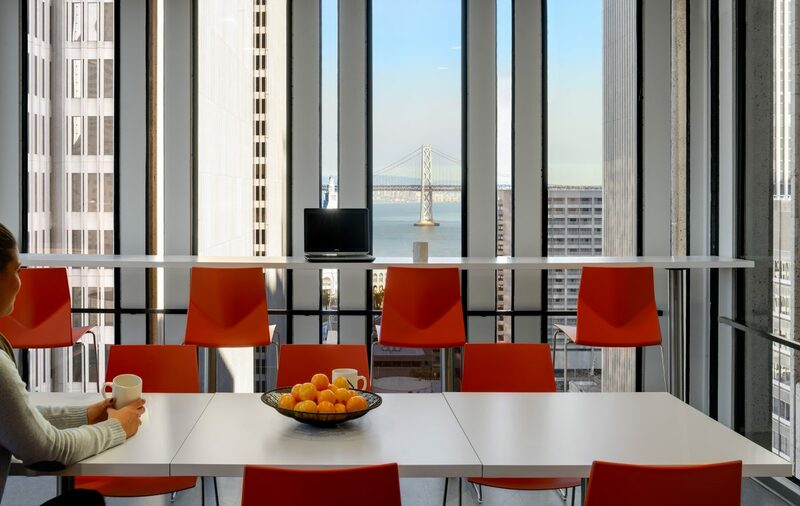 The San Francisco Foundation is the oldest philanthropic foundation in San Francisco and one of the largest fundraising foundations in the country. 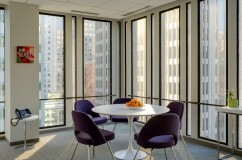 In relocating to new offices, the Foundation sought to tell the story of its 60-plus years of giving, while appealing to a wider donor base, creating greater space efficiency, and projecting a creative, sophisticated vibe. 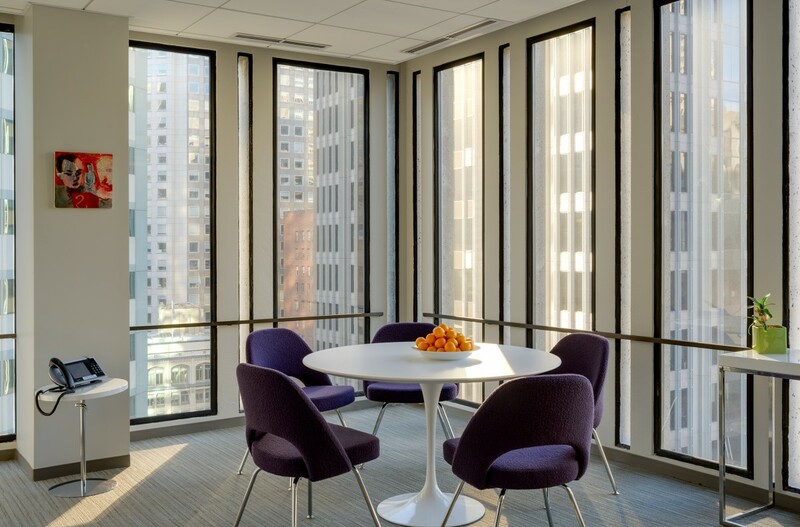 RMW architecture & interiors led a user group visioning process to help the Foundation define their ideal space, and, once they decided on a building, we provided full interior design services. 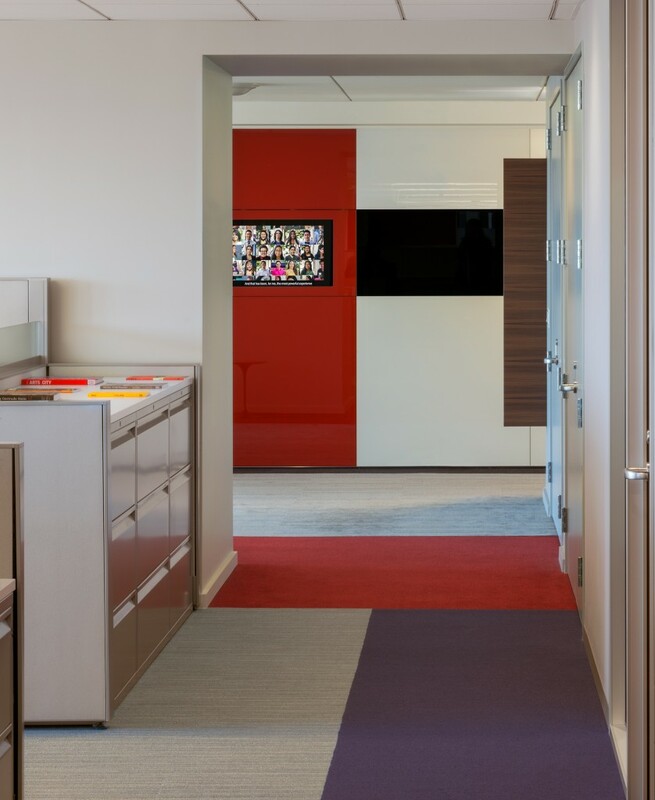 The 18,000 sf offices convey a sense of the Foundation’s history through classic textural finishes – wood, glass, neutral colors – accented by pops of rich contemporary colors. Open workstations with lower panels and glass partitions allow staff to feel comfortable in reduced workspace. The Foundation’s brand identity is expressed at the entry through a curved wood marquee wall, complemented by a media feature wall that showcases the stories of the Foundation’s successes through video and artwork. The San Francisco Foundation provided seed money for many organizations that are now Bay Area institutions, including KQED, the Trust for Public Land, and Bridge Housing. 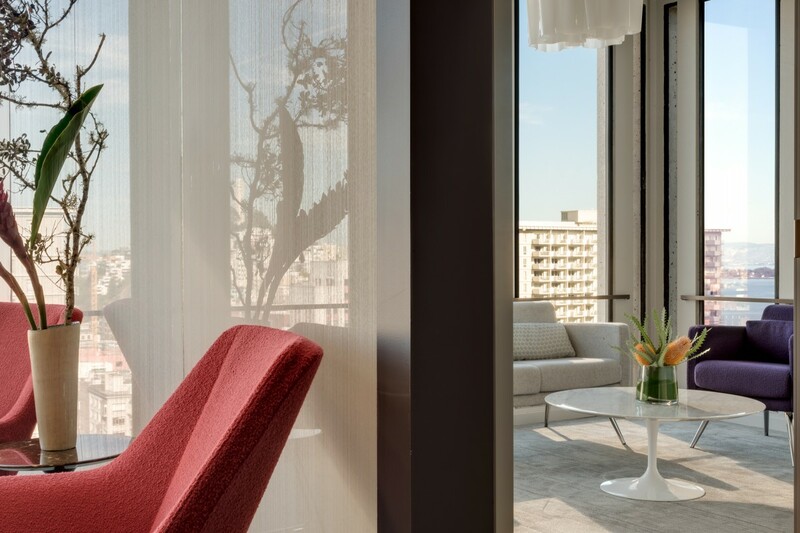 Folding doors between the space’s Boardroom and reception lounge allow the two areas to become one large room for functions.